If you’ve never heard of the fluctuating workweek, don’t feel bad. You’re not alone. It might sound like a week that floats around on your calendar like spring break, or a week that becomes longer or shorter depending on the month, like a leap year. But in reality, it’s actually a method an employer can use for calculating overtime, and it’s legal under current Fair Labor Standards Act (FLSA) regulations (though some state labor laws do prohibit it). According to the Society for Human Resource Management (SHRM), “Employees who are entitled to overtime pay receive a fixed weekly salary, which is divided by the actual number of hours an employee worked in the week to determine the week’s base hourly rate.” Employees then receive an additional 0.5 times their base rate for every hour they work beyond 40 in the workweek. This is a different approach from the traditional method for calculating overtime, where employers pay workers an hourly rate, then pay them 1.5 times that hourly rate for any hours worked over 40. Say an employee works 43 hours, at an hourly pay of $10 per hour. For those three extra hours, the employee would make 1.5 times their hourly rate, meaning they’d make $15 per hour, or $445 for the week. Rather than being hourly, the employee has a fixed weekly salary of $400. Divide that salary by the actual number of hours worked (43), to get the week’s base hourly rate — in this case, $9.30. Then the employee gets an additional 0.5 times that number for the three extra hours worked. That’s $4.65 extra per additional hour (three, in this case), for a total of $413.95 for the week. Taken at face value, the fluctuating workweek does not sound good for employees. Who would choose to earn less money for working overtime? But consider this: This type of payroll is designed for folks whose work schedule fluctuates from week to week. Some weeks, the employee will make less than 40 hours. Some weeks, more than 40 hours. In both scenarios, the employee would earn right around $400, and no less. With that frame of thinking in mind, the fluctuating workweek might sound like a solution designed for today’s modern workforce. Employees value flexibility — more so than even performance-based raises or discretionary bonuses, according to a recent QuickBooks survey. Companies may find they’re in competition with other employers to provide work-from-home solutions and alternatives to the typical 9-5 schedule. But problem-solving for technology, schedules, security, and logistics isn’t all that employers have to think about. With more flexibility comes the next logical question: How do you pay a traditionally hourly employee who has more flexibility and freedom? Here are a few of the pros and cons of the fluctuating workweek. Similar to salaried employees, employees paid under the fluctuating workweek system will essentially receive around the same sum each week, allowing them to better budget their money. That’s a big deal to the 1 in 5 individuals who depends on payday to help them get out of debt. Employers will likewise be able to budget better, as less fluctuation in payroll means fewer ups and downs for the company’s finances. For employees, the fluctuating workweek means failing to work a full 40 hours some weeks isn’t such a problem. Like salaried employees, these workers still receive — and must receive — a fixed weekly salary. Overtime is less financially significant, and thus less attractive to employees. For those who regularly put in 50 hours per week, such a system would not be appealing. Employers may be bothered by the fact they’re sometimes paying employees more per hour than they would have before because employees will occasionally work fewer than 40 hours a week. Compliance issues come with the territory. Employers will want to first consult a payroll expert and attorney to make sure they know what they’re getting into and how to best implement the new system prior to putting the fluctuating workweek in place. The good news for TSheets users is that calculating overtime hours and payroll based on the fluctuating workweek is easy — at least on our end. 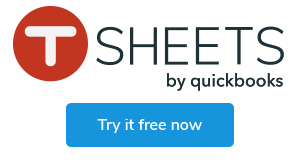 Simply pull up the TSheets Pay Rate Engine to track employee hours and overtime as usual, then export the data to your payroll software of choice. Depending on which provider you use, you may want to contact that company’s customer care or compliance team for assistance in configuring settings. The fluctuating workweek can be a bit confusing, but for employers and employees both, it’s worth taking the time to understand. With a little research and practice, for those who choose to try it out, it’ll soon be as easy as any other business operation. Need to track employee time according to the fluctuating workweek? Disclaimer: This material has been prepared for informational purposes only and was accurate at the time of publication. It is not intended to provide, and should not be relied on for, tax, legal, employment, or accounting advice. You should consult your own tax, legal, employment, and accounting advisors before engaging in any transaction.